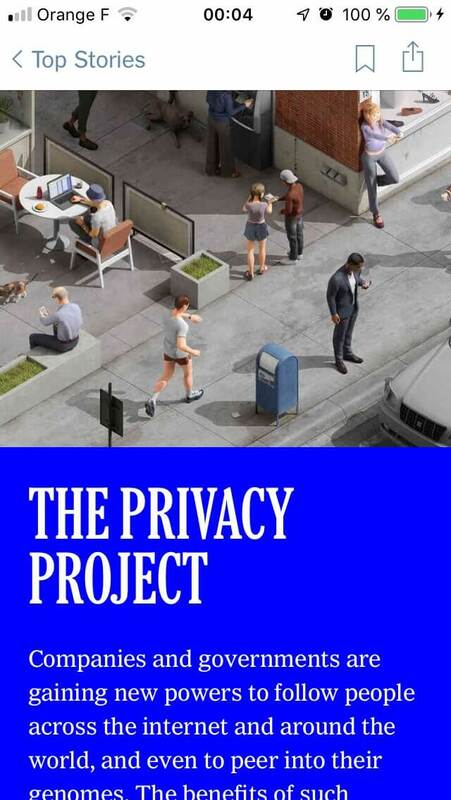 This new Opinion series from The New York Times examines the future of privacy. 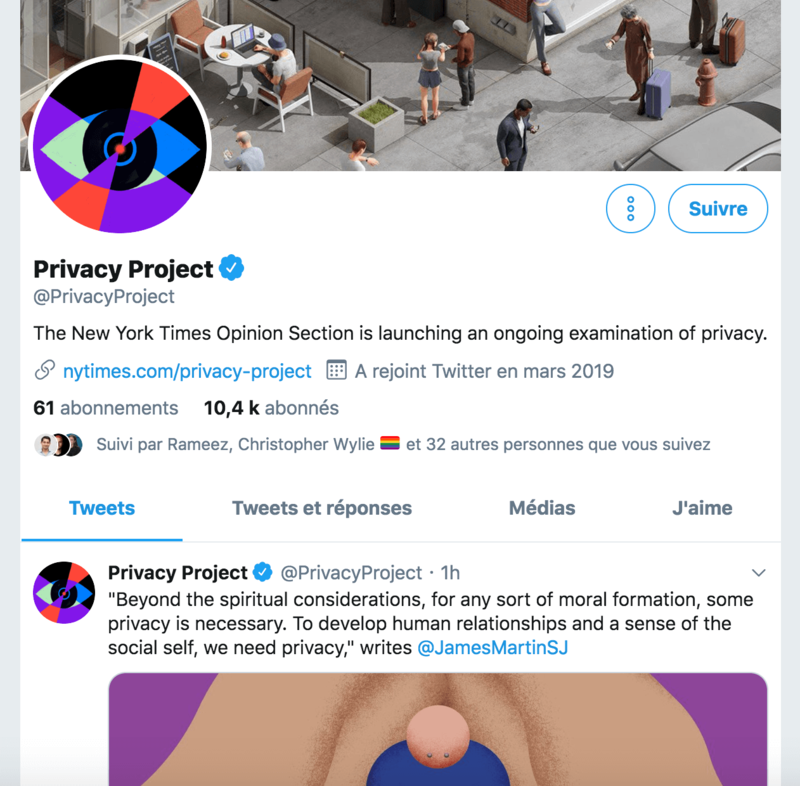 But it’s the form of the project that’s quite worthwhile: it’s presented as a limited-run vertical, called “The Privacy Project”. With the name comes a cool creative direction and several distribution channels. 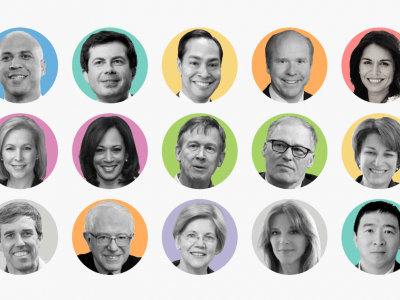 It combines a centralized page on nytimes.com, a newsletter with its own host, and a bespoke Twitter account. And Times readers are encouraged to send their own personal stories to feed the series, during the upcoming weeks. 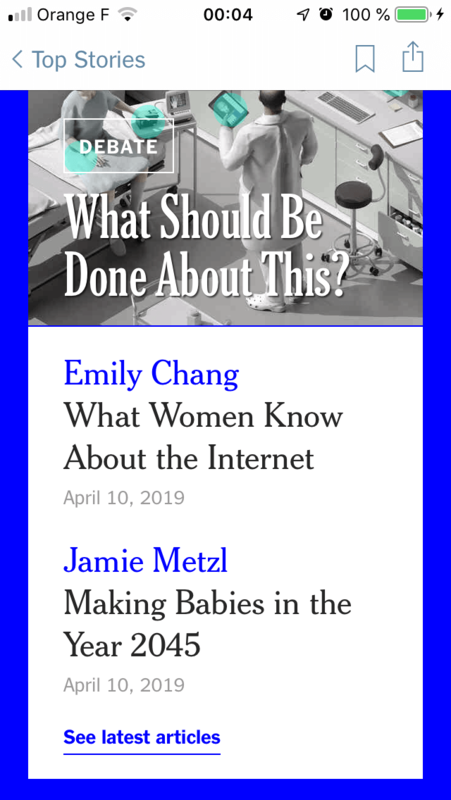 It’s the kind of multi-platform editorial strategy that feels so 2019-ish — for the best, I think.